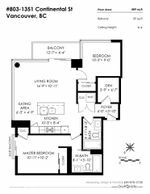 Elegant 2BR+Flex, 2 Bath 889sqft corner condo @ luxurious MADDOX by Cressey. Situated just steps from Granville St & on the edge of up-and-coming 'Beach District', this area just keeps getting better! Quality concrete construction, open-concept living space w/wrap around windows, high ceilings & CENTRAL AIR CONDITIONING. Designer finishes throughout, incl. Armony Cucine cabinets, Fagor/Blomberg appl's (incl gas range) quartz counters & hrdwd flrs. 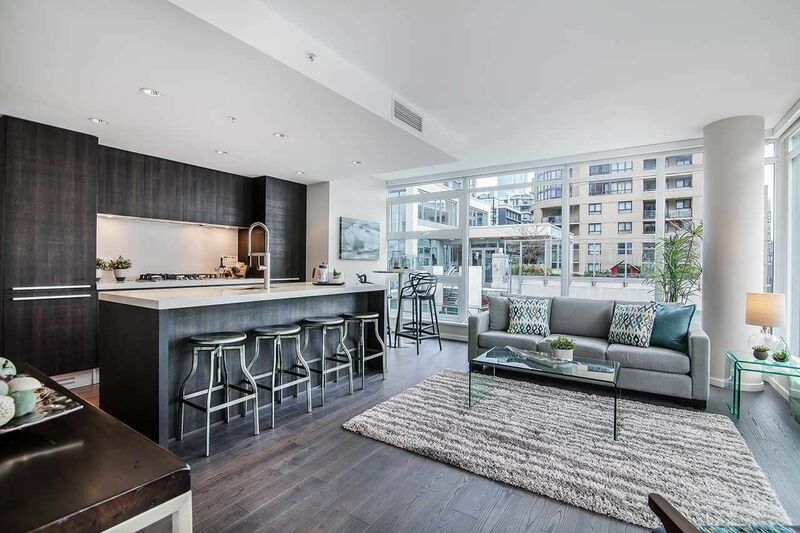 1st class building w/24-hour concierge services, exercise centre, amazing social lounge w/rooftop deck. BONUS: 1 secured parking w/your very own large private CONCRETE STORAGE ROOM right in front! Rentals & 1 pet ok. OPEN HOUSES CANCELLED!! SORRY FOR THE INCONVENIENCE.